BMW of North America, LLC is a worldwide luxury automotive, sports car, motorcycle and bicycle manufacturer. Worldwide it employs over 116,000 and in 2014 revenues were reported at Euro80 billion. With most BMW manufacturing done in Germany, there is one manufacturing plant in the United States and is located in Greer, South Carolina. If you find that you need support after the purchase of a BMW product your first call to make is 1-800-831-1117. Some specific telephone numbers you may find helpful are: 1-844-GENIUS (1-800-443-6487) or bmwgenius@bmwusa.com or for electric vehicle concerns 1-855-236-1025 or BMWiConcierge@bmwusa.com . If you would like to mail a letter to CEO Harald Krueger you may address correspondence to 300 Chestnut Ridge Road, Woodcliff Lake, NJ 07677. The corporate office telephone number is 201-307-4000. BMW was founded in 1916 by Franz Josef Popp and located in Munich, Bavaria, Germany. Worldwide headquarter as still in Munich. Originally an aircraft engine manufacture, it was forced to stop production after the Versailles Armistice Treaty which ended WW I. Production switched to motorcycles in 1923 and to automobiles in 1928. BMW stands for Bayerische Motoren Werke AG and is the parent company to the Royals Royce Motor Car. BMW social media presence is Facebook, Twitter and YouTube. I bought a brand new BMW X6 model 2017 form the dealer in Beirut. Since i purchased the car, every time I turn on the car, I hear a disturbing noise. I believe it comes from the ventilation system. I asked the dealer to check the matter, and the reply was always this is normal. I don't think it is normal. It is a minor problem, but it is disturbing me.What shall I do? I have a 440i, bought new June 2018. It has less than 17000 miles now. There are several paint chip showed up at the bumper. This is the first time I have such experience with new vehicles. I own both domestic and foreign cars ( this is my first BMW ), business reason. BMW of Westside Houston refused to do anything about it. If this is a common problem with BMW? I am a first time BMW owner. The initial purchase experience on Saturday (12.08.18) was great until I realized during my drive home that it was the wrong vehicle. The features I wanted and shared to the client advisor (blind spot monitoring and lane departure warning) were not in the vehicle. I specifically asked the product genius (Ian Baker) how to turn it on during our final walkthrough and he said all I need to know that if the button underneath the hazard button always remained green it's always on. I trusted him and left the dealership extremely excited. When I realized what was missing, I notified my client advisor (Christian McClure) in less than 24 hours. Since it was Sunday, I knew that he would not get back to me until Monday. Fast forward, no reply on Monday. I sent him a text on Tuesday and his quick reply didn't even answer my original issue. After that, there hasn't been any communication from him. Prior to the car purchase, he would reply to my messages (email or text) within 5 minutes. I shared my issue with the sales manager (Wesley Bishop), he then called a few days later saying he would look into things but was on vacation the next day. I followed up with an email capturing the conversation and the general manager (Carl "Bo" Brand) called the following day (Thursday). He shared that he will look into other vehicles. I received a note yesterday (12.14.18) stating that he found a vehicle. I was extremely excited to see that part but then there was a note saying if the new vehicle is over 300 miles then they would treat the vehicle as a used car trade-in. I was surprised by that statement because in all my documented correspondence, that fact was never mentioned. If I had known, I would have gone back immediately. I'm sharing this now because I feel that the practice was shifty when they didn't even go over the details of the vehicle. In hindsight, the finance manager (Tanya Adcock) was moving extremely quickly through the paperwork and perhaps she too was trying to pull one over a customer. I know the vehicle doesn't even make a mark in overall sales but to me this is an important purchasing experience that was tarnished by questionable team practices. My 2011 X3 had only 65000 miles on it and it's battery was draining already inspite of the fact that it was replaced with a brand new one less than two years ago. My wife went to put gas on it and she could not get the car started. yesterday Dec 12,2018. The onboard computer says, "the battery is draining while the vehicle is on stop. At present it is with the dealer for diagnosis for two days. Can you give us an assistance with this problem?..Please. for Fla. soon and wanted to get this taken care of. After waiting for Two plus years for the air bag problem, this is a joke. We do not feel comfortable driving this car, for safety reasons, I want a replacement to drive. I spoke to your customer service dept. Jessica today, and she tole me to call the service dept. at Orange County BMW which I did, spoke to Ann, and she is calling me back. I would like to say that I am a registered nurse, and am in the business of saving lives, and to expect me to use this car is absolutely unacceptable. I am getting ready to contact the attorney general of New York, and Florida. I am a member of one of the most powerful unions in the country, where I served as a delegate. Maybe I need to get my friends together and have a protest, which I would invite the news networks, to get some action. I will await your reply. January of 2016 bought a2011 550i xdrive. Brought it in because it was burning to much oil. The problem still existed. Then a recall came out because this N 63 engine caused oil problems. Brought it in they had car 3 weeks. Got car back noticed it was leaking oil now. Brought it in cost me over3000 dollars. Got it home found out it was still leaking. Now they tell me it will cost another 1000 dollars the leak was bigger than they thought. When I picked it the first time they said it was fixed. So I probably paid for labor and parts I didn't need. Well guess what got it home still leaking. Brought it back said they would take care of it for free but they charged me for parts.175 dollars. Told them engine sounds terrible . On Nov. 28 I had to pay to have the car towed to Towne BMW where I bought it . And they couldn't even give me a loaner.had other problems now it going to cost me another 500 in parts. - at 18 of May and due to an accident i sent my 116i BMW car to the service center in Abu Rawash . - and the car was not big damaged but they was day by day and not working seriously in the car and they toke for that 55 days i didn't know why long time !!!! - and i was driving the car and i feel not comfortable from the motor voice and the temperature rang (gauge ) in the car , and it was afternoon so i went to a service center closer to my house and i heard from the specialist there that the cooling water tank and all the cooling water cycle is empty from water !!!!!!!! completely empty and the Motor not fixed and not adjusted good !!!!!!. - i called the hotline many times and finally answered but very cool and easy come after tomorrow to adjust the motor and add water !!!!! - what damages i had if i am driving my car for two days without water in the cooling cycle ( all the cycle is completely empty ) because they changed some pipes in that cycle but they forgot to put water !!!!! what a hell reason they said ??! finally this not first time to suffer from this naive reasons and i really wanted to give that car back to BMW and i don"t want any thing from you but only one request from me , i want some one from the head office in Germany to come to Egypt and sign with me to give you that car back for free . btw i paid for that last maintenance a little less than 10000 dollar in one time !!!!!!!!!!!!! , the documents and the warning message in the care is attached . My 2013 BMW X3 has been with the Rochester BMW dealership for repair since November, to date I have had the run around with BMW to the point that they refused to address the engine issues noting there was sludge. The dealership agreed to cover a portion of the $14K bill, however I decided to pursue the issue directly with BMW. I have called the Customer Service line, given a report and received messages. However upon return calls it takes weeks to hear from BMW. Much like the two month process it took to determine that they would not address the issue with this vehicle. I have 3 BMWs over the years and never experienced such poor service. Reference 4002171118 for 2015 BMW 328i Sedan bought online, the payment was made by Financial Services. The auction price was incredibly low, but they gave no receipt and no reason for decline. At the time the agreement was signed, the BMW agent Huang made a big mistake, allowing others to sign the contract which should have been made by the owner of the car. What is the BMW corporate address for complaints? I would like to offer my feedback on the buying process. 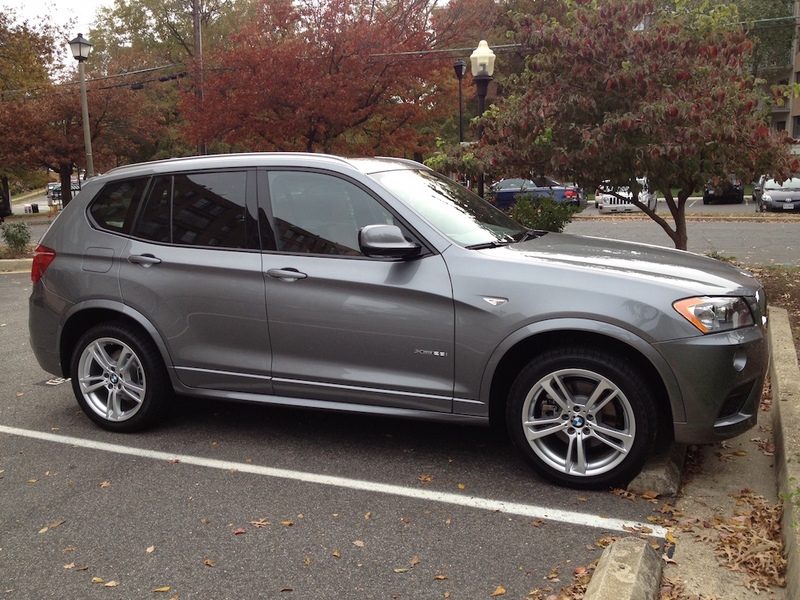 In 2012, I purchased a 2013 BMW X3. It currently has 65,000 miles and has loose timing belts plus an oil leek causing blue exhaust. To have it repaired will cost over $3,000 dollars. In my youth, I auto-crossed against BMWs and have wanted one since. I have heard nothing but good reports about BMW and never expected something to happen costing $3,000 plus dollars at only 65,000 miles. I have had many other cars with many more miles that never had trouble even at 100,000 miles. I am very disappointed and do not think this wonderful car should have these problems at so few miles. 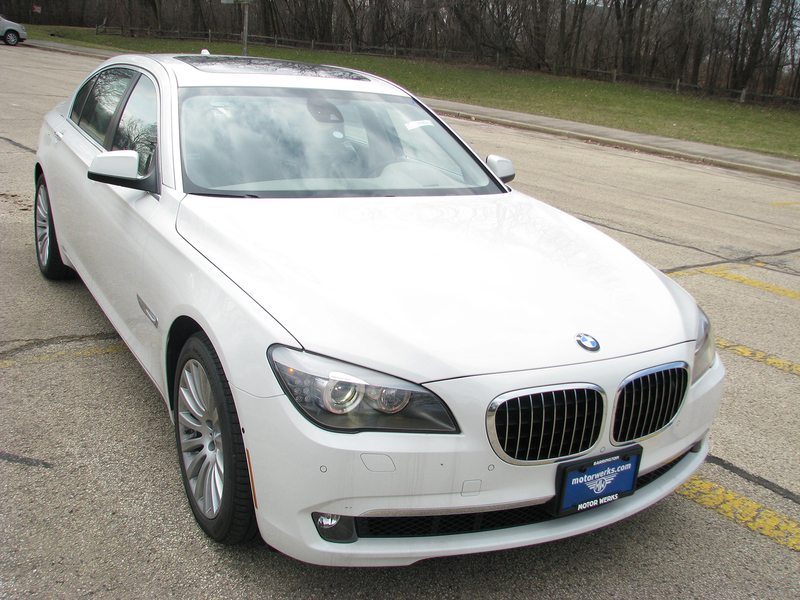 Purchase 2009 BMW 750LI IN 2012, Vehicle has been in the shop a number of times with engine problems. vehicles has had several thousands of dollars worth of work done on it and now I am told that I need to replace the turbocharges on it that cost around another $ 8,000. dollars. I consider myself a loyal customer of BMW, but this vehicle has been nothing but trouble for me. I live in Cooperas Cove Texas and the BMW to service my vehicle is in Temple Texas, which is almost an hour away. I have been trying to make an appointment for a week to have my vehicle serviced. I have called the service department and left messages and they don't return your call. I think this is terrible customer service on their part. I will have to drive an hour away just to make a service appointment. I went in June 2, 2016 for a diagnosis on transmission. AT30 Transmission, Automatic- Replace. There were several broken blots and were not able to be repaired during this visit. The starter was unable to center due to dowel pins being incorrect. Starter still grinds when starting. *Starter was not working this way before service. Ready on June 4, 20016, service bill- $5498.67. Service Invoice# 287911. Drove to Dumfries, Va. On June 7, 20016. Transmission over heated malfunction. Had vehicle towed to BMW repair shops at 499 S. Pickett St. Alexandria, Va. 22304. Service Invoice #s 484221 and 48424. Service Advisor: Dena Van Bus. ( 703) 647-1810, Cell: (202) 957-7888. Once trans was out found 5 out of 7 blot holes threads were stripped missing trans dowel pins, starter miss aligned trans mounts were broke in half and the GUIBO was coming apart. Was able to REPAIR 3 out of the threads with inserts, the remaining 2 will need engine remove to repair. Realign starter correctly and installed 2 new trans dowel pins. Replace trans mount and GUIBO note the trans is securely mounted at this point. On April 1, 2016 I purchased a 2013 BMW x3 version with 68,000 miles for $22,000. I purchased the vehicle from BMW of Atlantic City, in Egg Harbor Township, NJ; that was my first mistake.. My experience was great while purchasing the vehicle. Unfortunately, your product failed after 45 days. The engine malfunctioned while I was driving with my family in the car, that was very traumatic for myself and children. The car through itself in natural and made a loud noise while waiting at a red light. On May16, 2016 I entered the BMW service department in Egg Harbor township where I received very poor service. It started with your employee Chris, I began to explain what I experienced in the car. He proceeds to tell me that he does not have a loaner car and he never asked me if I needed a ride. He directed me to the waiting area where I sat for 2 hours. Never did anyone update me on the car or ask if I needed anything. I called my husband and he called the front desk, and I'm certain he was upset and probably said some things that any person would say if their family was in a car that malfunctioned in traffic while driving. And then to come into the dealership and not receive the proper customer service. After waiting for 2 hours I walked around and found another one of your employees and asked him do they have a shuttle service and he states they certainly do. He was very helpful and got me a ride home. The general manager was made aware and says to me that they would get me a loaner car when one becomes available. Never did he show any concern towards my feelings. No one showed any understanding or compassion on how I felt as a customer with a car that failed 45 days after purchase. Chris called me after me waiting all day for a loaner at about 5pm and states he has a car I can come pick it up. Really, how did he expect me to get there. I asked Chris could someone pick me up, he tells me to hold on he would check. He sent a driver to pick me up. Which I thought was standard. Even at a KIA dealership they pick you up and have loaner cars. I get to the dealership only to see the police there monitoring my husband because your employee called them and states he felt threatened from the previous telephone conversion they had on the telephone. Now I must ask myself would any of the circumstances happen if we were not African American? I think not.... To resolve this problem I would like my down payment returned and out of the contract. I don't want the car... I want to purchase a car from Toyota where I am treated as a valued customer. I also think you need to provided sensitivity training all your employees. I have made a formal complaint to the NJ Better Business Bureau and contact a lawyer I truly feel we were discriminated against and treated unfairly. My 2007 760LI Vin#WBAHN035X7DD98879 has, as many started leaking from the coolant pipe. (Weeping Hole, Coolant Pipe issue/repair. This recall should have been made years ago as owners suffer from an internal engine leak (from damaged water pipe seals), Commonly known as the "weep hole" coolant leak. BMW part# 11141439975 on the 5-series, 6-series, 7-series, X5 and some Range Rover. I have quotes ranging from $8000 down to $4000 neither that I can afford. I purchased this car used and was not aware of this problem until BMW Tacoma Wa pointed it out. I am a Disabled Retired United States Marine on a limited fixed income otherwise I would pay the repair cost. (Question) #1 Has this issue been addressed/submitted by other owners? #2 Has BMW offered any help with the repair cost of this problem? #3 What are my options to resolve this problem before the car suffers additional damage due to this problem? My wife brought the car for me a year ago as a birthday gift. So I really had no input into should you or should you not buy the vehicle. October of 2016 the serpentine belt broke and pieces of the belt was ingested into the engine, something I thought was impossible until I started reading the BMW forum. Found it to be a pretty common problem among faithful BMW owners with the only solution to the problem is to come out of pocket with a lot of cash to replace the engine. You would think by now something would have been designed like GM has a crankcase guard. There is not a mechanic who works on BMWs that is not familiar with this problem and I am sure there is enough document evidence to support a design change or even a class action law suit. I realize my wife was duped into thinking BMW is a really good care due to the fact we own a 1995 318i for over 10 years and never had a problem. I really feel bad for her because this is the only car she has purchased without my input and I refuse to spend $3,200.00 to get it fix. Are there any other alternatives through BMW for hardship cases like this? I own a BMW 320d , reg. no. DL1CJ 586 . The vehicle is under BSI warranty till 2018. The vehicle was sent for service and filter change to Deutsche Motoren, Moti Nagar, Delhi ( India ) in June 2015. I recently noticed some oil drops under my car and promptly sent the vehicle to find the reason. On Feb. 22nd, 2016 the company gave me a Service Preview and asked me to pay almost Rs.43000/- for replacing a cracked oil filter assy. The assy cracked possibly due to over tightening. I have been given no reason why the assy cracked. I sent a mail to the company and got no reply. I tried to meet some senior person in the service dept. but no one has come forward to explain. Since 2012, the nightmares begin with trying to get my 525I smogged, from Weber BMW Fresno under a whooping $500.00. Service from the service advisers you can forget it, they are always with a client and will be calling you back which can be days later if you get a call back at all all the while you are being charged or without a car and just for the record, I drive this car and I am familiar with a high end car and the expenses. But come on every time the smog is due which is ever 2-yrs the service engine light comes on.... and BMW gives you the code you replace what the code says and then guess what the light comes back on they keep charging you a diagnostics charge of $130.00 each time and when you get to $500.00 they now know what the problem is which will cost you around $1000.00 or so. Well, I thought I would be smarter this year I hired a mechanic to take it to BMW and guess what...the mechanic I hired knows imported vehicles but he to is getting the same treatment. BMW gave him a code for $130.00, he made the repair based on their information and guess what it didn't pass smog. So, my mechanic took it back, service adviser not in who handled the car the first time so their is another diagnostics fee of $130.00, my mechanic tells them fine just smog it. Well it's been two weeks with the BMW customer service center, they claim to not know what the problem is but they need authorization now for additional diagnostics which would bring the total to $520.00, and you guessed it the car still hasn't passed smog. I called to speak to the service manger on 2/11, for assistance and of course he is going to look into it and call me back. My mechanic says he was last informed this same thing by the service manager but the service adviser said he would need authorization to proceed with the charge of $520.00 in order to do another diagnostics? When in fact all they do is rake up false charges and codes based on the mileage of your vehicle, you can forget the fact that you keep up the maintenance on your vehicle, it won't matter when the time comes to get your vehicle smog be prepared to be scammed by Weber BMW in Fresno. I once loved the service I received by the team at Weber BMW, but I found the warranty is good and expires right when it is time to get your first smog, your car won't pass smog and the years you had free maintenance (warranty) they will get there money back, cause they are the one with special tools for a BMW so you find yourself/mechanic at the mercer of a rip off dealership you might as well went to shady dealership cause this is what you get at the end of your warranty. I just want BMW buyers be ware don't let the all in warranty fool you on this high end car. We bought a certified X3 about a year ago. We are first time owners of a BMW and this is exclusively my wife's car. She has put less than 20,000 miles on this car and is a "gentle" driver. Within the last couple of months, and within a 200 miles of each other, the front and back brakes(pads and rotors) had to be replaced. $1600 plus a car rental later, I really began to question what a BMW certification means. Though not covered by warranty, there is no way a vehicle should need this kind of repair with less than 20,000 miles. We thought BMW represented quality. I went for service to your Springfield NJ location. This is my first experience with BMW and the service was horrible. I brought my car in for service and what an experience. Staff was very rude stating this is not my job. They brought my car in to be washed and what a terrible job they did. also lights had to be replaced instead of you changing all 5 i think you should let the customer know before work is done and let me decide whether or not I want to pay that amount of money. overall the service was horrible and my first experience with BMW service was horrible please teach and train staff on customer service. Just got the car out of the Faulkner Dealer for major repairs. Now both front doors were frozen, and all door handles broke. It just snapped. The hood outside release snapped completely in half, when trying to open the hood (2001-X5). This is unbelievable. My 1999 528xi, rear windows stop working and I have to put a weggie to hold up the windows until I can afford to purchase used requlators. I am so frustraited with these BMW's. The third BMX (2003 XI) side markers broke of and fell out completely. I can't afford on keeping up with the maintenance on these vehicles. I an a disable veteran who is living on a fixed income. Please, if you can help, contact me. Left Eric service advisor message 4 days ago regarding my battery and then kept me waiting over 30 mins before asking me if I needed help. Call me if you would like to discuss this extremely poor service experience with BMW. Purchased a Certified BMW 750 Li x from BMW Mainline. out of town buyer. Car was delivered, had a cracked bumper, chips in the hood and the front 2 rims were bent. BMW mainline made good on these issues and I had Classic BMW perform the required work upon approval from BMW mainline as they were paying. The car was at Classic BMW for 3 weeks after it was delivered to me by Mainline. Since that time(when the repairs were made) i have made several attempts to get the Certification records from BMW mainline.. To date I have never received them. Less than 90 days after delivery and only 60 days of driving the car(in shop for almost 4 weeks) I took the car back into Classic BMW yesterday. The brakes need replaced, the windshield has pit marks all over it, the washer fluid for wipers dont work. I have bought many "Certified" vehicles in the past. And I have never felt so taken advantage of. I paid over $50k for this car. And each week something else seems to be wrong. I do not believe the car was ever certified. I am not sure how a BMW dealership could certify a car like this and have soo many issues with it within the first 3 months of owning it. At this point I may put the car back up for sale as I feel so taken advantage of and really dont want any more surprises. I am pretty shocked that a BMW dealership who says they certified the car, wont provide me with the paperwork. Most likely because of so many issues with the car. Really dont know what else to say. I am disgusted with the ongoing issues with this car. That was purchased less than 90 days ago. Purchased a 2012 BMW x3 as a used vehicle from Nalley, 178 Altama Connector, Brunswick, GA 31525. I purchased the BMW for my wife because of its reputable reputation and service support. On 10/24/15 my wife and I drove from Brunswick to Daytona, FL to visit family. The car broke down and we could not drive it. We called the 1800 number for BMW assistance and they told us that the only thing they could do was tow the vehicle to a BMW dealer. I called the Daytona BMW dealer and they told me that because of the mileage (62000 est) the vehicle was out of warranty and all costs would be incurred by me. We took the car to a reputable BMW service and initially the problem was the right wheel bearing and the transfer power case, 5277 dollars worth. After making the repairs it had to be taken to the BMW dealer for reprogramming at which time the dealership said that 5 computer modules needed to be replaced at an additional cost of 7000 dollars. Mike, the repair man, towed the car back to his workshop in hopes of repairing it. That is where we are now. Looking at 12000 dollars in repairs for a 2-3 year old car. 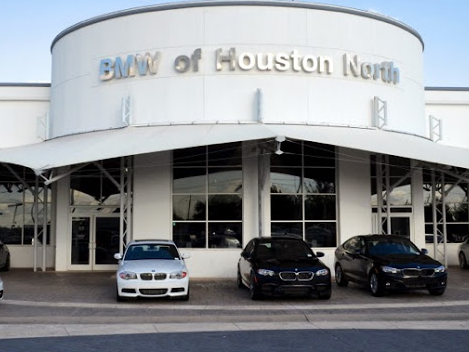 June of this year we purchased a BMW 3281 from BMW north Houston as certified then few months later found that it had been wrecked when pulling a 2015 ins report. We made Tom Townley aware of it, he stated that there is nothing he can do that its still a certified vehicle. We purchased the car as certified, I ask them if the car had any priors and they answered no. He basically blew us off once I showed him the report that the car was rear ended. We will not let this rest until one of the following has been met. We return the car and get our SUV back. You buy the certified / previously wrecked car back from us. You make a check payable to us for 3k to cover the loss. I bought my car because I live in Alexandria and most of the winter time is running very badly. This is the reason I bought SUV car to manage the bad weather. I was driving my car in Alexandria and I drove in flooding area. Then the car stopped even there were other cars smaller then my car just passed this area without damage. First thing I did when my car stopped I called the customer service from the number I have in the dashboard so this number was out of service.Then my car got locked and I was not able to move it into dry area and save my car from any damage. I was on my spot for 6 hours till the water gets higher. Finally I get towing truck to send my car into the dealership. So, till now my car is no running and they don't know what is the damage. Also, they told me that the warranty is not covering any damage. I need my car to be fixed on the warranty and I just bought it from 8 months ago. I will look forward for a positive respond to fix my car. My car chassis number is DABWX350800K83782. Thanks a lot. Our 2013 X5 needed to go in for brake services. Riverside gave a loaner car to my wife Tunya Hopson. When she and the girl who was doing the walk around. They both just walked around the car. Very little inspection was done. When Tunya brought the car back to BMW they told her she had a dent in the front left side of the unit. She informed them that she didn't put it there and it must have been there when the two of them just walked around the car. She spoke to the service manager and he was rude to her. I called and he was very rude with me. We got into a heated exchange and he asked what do I want him to do. Go around with his tail between his legs. He said that wasn't going to happen. He said she did it hand she signed for it that's the way it is. I asked him had he conducted a full investigation on it. He said he didn't have to she signed for and those are the policies. I asked him to just check the miles on the car exactly. Tunya drove from BMW Riverside to our office. If you check the exact miles you can see there is nothing that could have caused that at Riverside BMW nor at our company ERI 391 N. Main st Corona, Ca. 92880. Also during our heated discussion John the service manager was beyond the level of a manager to communicate effectively to explain his side of this situation. I have never been so upset with a manager of a fine establishment Like BMW in my life. I have purchased at least 7 BMWs from your company. If we have to deal with people like John is the services department as a manager. I don't and will never by another BMW from there ever again. I will tell everyone I know what poor service we had with the service department. I would rather go back to Lexus where customer service comes first. If we did it we would own up to it. We have NEVER asked anything from Riverside BMW that we wasn't willing or able to pay for it. But to be accused of something we know we didn't do is another thing. It would only cost us our deductible. I am willing to pay more for our attorney to prove this point. Please some one get back with us as soon as possible about our complaint. I have a 2007 BMW X3. Twice we have had bad leaks in the car. The service department will clean the drains on the roof, but it comes back. Each time is about $250. I have heard this is common to this model. Please, BMW, pay for this last repair. I don't mind paying the first time, but again? My 328 I was misfiring on number 4 cylinder. The ignition coil needed to be replaced. The coils were made by Bosh. I was told the Bosh coils had been failing, so they could not replace the one. All six had to be replaced with Delphi coils, at a cost of $1192.96 as per BMW bulletin. I should have had the option to replace the one Bosh coil. The bulletin from BMW is proof they knew the coils were substandard and should have been recalled. I own two BMWs . I would expect and get better service from Kia. I am a State Representative in Arkansas and I intend explore some safeguards to protect consumers from these kinds of practices. I plan to buy a real car like a Nissan next time! I bought this car new in 2009 and serviced it the same as I always have at the BMW dealer Auric Auto in Claremont, Cape Town. Last week, I went to BMW dealer to check why the right side tail light wasn't working. I left the car at the workshop and two hours later was told me that the problem was rather the "tail light assembly" faulty which had to be replaced. I find this very strange that a unit that doesn't get touched in maintenance routines does stopped functioning! I understand that bulbs get replaced but the assembly itself...this is the first for me and after having a number of cars before, never had such a situation occurred. Which leads me to believe that it can be only the unit was faulty on its nature from manufacture and I feel it should be BMW to rectify it. Upon payment of the bill, I did ask for the "old' unit and was also told that it had to be sent to BMW for diagnosis. I keep hearing about the excellent service that I will be getting with BMW. I have just purchased a 4 series last month, and have been trying to call the toll free number. It rings out but no one ever answers. A very bad start to my relationship with BMW (waiting on hold for customer support hotline). I bought new 2015 BMW 740 LI (WBAYE4106FD805526) from BMW dealer in the Sultanate of Oman on 20 March 2015. After couple of days, I found that color of the rear right door is slightly different than the color of rest of the car. I put up the matter with the concerned authorities in the agency. The response was very negligent and they misguided me saying it is due to the type of dye from the factory itself. If, I take that the right explanation, then why it is not applied on the left side of the car door or rest of the car area? I got a BMW 528XI pre-owned from BMW Freeport NY on Nov.2, 2011. I made a contract BMW Maintenance program Upgrade Agreement for 48 month. I made an appointment for maintenance and oil change on 04/27/2015. I brought the car to BMW service center today (04/27/2015). But the service advisor refused to take my car for service. He claimed that my warranty expired. However, according to the agreement with BMW and myself, the warranty expired only Nov.1, 2015. I have that agreement paper with me. When I got home, I call and inform them. But no one contacted me, so please take appropriate action to resolve the problem. Please stop your add campaign that mocks the suffering of families dealing with the pain of Alzheimer's and other forms of dementia. Please inform the little genius that thinks this disease is funny that there are thousands of us out here that get angry every time we see their insensitive ad. BMW needs to take note that a lot of us that are 50+ years old are not amused by your companies obvious lack of concern about one of the worlds' fastest growing health problems. Thank you for your time and consideration of this matter. I leased a 2014 BMW for $344/month. The Ad said it was leasing for $229/month. Sales person said this did not apply to Orr BMW dealership WHEN I ASKED ABOUT AD. Tim (? ), manager, told me it did apply to Orr dealership, and that's why I should have jumped and screamed BEFORE signing papers. It's not my fault the salesman was dishonest. Tim said he would check into this and get back with me, for me to only discuss this with him. Have not heard from Tim. Tim admitted that I should not be paying more than the advertised lease price but does not know how to handle the situation. He said he was going to contact BMW Corporate and get back with me, but I haven't heard from him. I am not happy with BMW dealership right now!! My radio in my 2013 BMW plays for a few minutes then stays off for a few minutes. The station can not be changed or play the satellite radio. I call the dealership and have to take it in for them to check it out. While there, I found out there is a notification that there is a problem with the x drive causing the problem. I was told that day the radio would have to be replaced and new one was ordered for my car. Well, that was on February 5, 2015 and to date NO radio. I have called the dealership several times and have been told that they will call me when it comes in. Also, it can take up to 6 months for the radio to come in, so it may be August before I get a new radio.....WTH??? This is my first BMW, and its been a car that I have always wanted since I was 16. I thought with it being a BMW things would definitely be replaced faster and go smoother...I can't help but wonder if anything else needs repairing/replacing how long will that take to be corrected. I feel like going back to American made; at least I feel be able to get parts in a timely manner. March 17 2015, BMW aired a TV commercial that depicted a black African American couple driving a BMW and the couple appeared lost. The black.African American.couple looked at a white woman standing in.front of a would be bed and breakfast establishment, then the black African American couple commented about how crazy the white woman looked and then sped away in fright driving a BMW. Thus giving the false pretense that black African Americans think white women look crazy. Myself being a white male of German and Irish heritage found the TV commercial very offensive and should be removed from TV. This is in reference that my Car BMW X3 Reg. No. RJ 23 CA 0003 was traveling in rain and suddenly the car broke down due to water being sucked by the engine. Then we called the service centre and after 3 hour they responded us back by sending the representative and the crane to pick the car to Sanghiâs workshop Jaipur on dated 7th Aug. 2013 and till date they have not yet repaired or given any response regarding the car delivery and now they are saying that due to non availability of some parts they will take atleast 15-20 days more. AS we have purchased a renowned brand car we expect the car and its services to be prompt and of higher standards but the type of your response we are completely unsatisfied as if you will take atleast one month to render your services just to repair small problems in the car then how will we continue belief in your services which you assured during the purchase of the car. Dear BMW Team, I purchased a BMW-520 D (Reg.nos.RJ-14-CT-0555) series from Sanghi Classic (BMW showroom) at Jaipur on 03/07/2012. Now its total running kilometer is just nearby 10000 km till date. Here I are writing to know you that Recently last Friday I was going to New Delhi for Business meeting. Unfortunately At Daruweda near New Delhi on National Highway my Car pitched through a PIT all of sudden I found that my Right side wheels (Rear and Front) went burst and RIM got bend due to that Car didnât running properly while passing through a soft drive over it- Just on slow speed, Then it was not in the condition to drive more as it was trembling worst and very risky to travel. We parked aside and Inform to BMW Customer support team and they assured that they would reach with us in an hour. However, after waiting till 3 hours they came with Crane and rushed towards their workshop at Gurgaon (Bird Automotive). We really thank to God we are safe, the thing which has occurred due to defective accessories may be serious accident could happened. They were supposed to delivery my vehicle at my New Delhi address as I was continuously checking the status with them and they said it will get delivery to me next day (Saturday) as they need to do many formalities to process the things for repairing my vehicle. They never think to inform me the status of my vehicle then I had to personally phone to enquire on my second attempt in following morning, they advised to provide some documents while wasting my complete day. Nevertheless I provided all documents to them but there excuses didnât come less and finding undue lacks in documentations instead to delivery my vehicle. I phoned 15 times that day, each time promised by Mr.Ritesh (and others) that theyâd phone me back instantly but no one contacted me in evening there nos. were switched off. Today (Tuesday) I get intimation from BMW team with saying that half of the parts has been passed by the Surveyor and they still need 2 days more. We are really annoyed to seeing the services from BMW as till date they didnât think to give me the delivery of vehicle. Nor Even any status to update when they will deliver my Car to me. I have to stay in New Delhi on Monday and I spent Rs.20000/- for Taxi charges and additionally my Hotel Charges for Two days Rs.15000/- in New Delhi The question is to be asked who will bear such charges and my time too. My experience about BMW has been worst with receipt of such services; I am having one more BMW 330 D if such thing I came to know than surely would not make mistake to be the part of BMW family. We have an Audi for the last 3 years and their Customer service part having more professional level and understand to Client Satisfaction. To be honest the simple thought of EVER having to address BMW in a whole puts a hollow feeling in my mind, as BMW themselves really would not give any evident from their lack of response to my entire experience. Because of the combined unprofessional service level, laid back attitude and disregard for client satisfaction. Kindly look in to this matter and let us know when we will be able to get our vehicle back from BMW to Jaipur. I had purchased BMW LI 750 - 2013 model WBAYE8104DD145717, I am facing a big problems with every 50 km the Radar is going off because of thet I had made almost 3 times accident by luck I had escaped from the accident but luck will not save me always and Indicators also not working properly when I went to your distributor in Dammam and explained my problems, they didn't respond me well and not able to find a solution of my problems. I have already 2 BMW's but with this model I am totally unsatisfied, either you informed your distributor in Saudi Arabia Dammam, to rectify all my problems, otherwise please return my money, I don't want to go every time for repair, I am very busy person I don't have time for all these thing. I am a Professor in Faculty of Dentistry Cairo University , I had 523 2009 BMW , its kilometrage is 53000 kilometers, i always did my service regularly in the dealership at due time , I have always been a BMW customer as I had the BMW 3 series for 5 years before buying my new 5 series car . There is a strange story that occurred few days when I went to my work at speed 140 km suddenly the car reduced speed to 100 km then appear in screen transmission faulty drive moderately continue your trip and contact BMW service, actually I contacted the dealer ship second day. After he looks for the car he said no problem with the car just it is transient problem so go safe donât worry. After just one week later the same sign appear again and I contact them again they told me you must leave your car for a while to check it again, after 5 days they contact me and they told me that the transmission gear must be completely replaced and they will contact the mother company in Germany to discuss this issue, I was very disappointed as such a serious and big problem should not occur in such a well known heavy duty car! Then the company replied after that you must pay 30% of the gear parts and 100% of the service, so when i ask some of my friends who are driving a Mercedes and Audi cars they told me that their companies replaced this part by 100% with service so i want to have the same deal as my car is a considered an expensive car still in 53000 km and the problem is from manufacture not from use and regarding the harm on me as the car was broken in such bad weather conditions . My search has revealed that a lot of owners have experienced a steering wheel lock on the 2007 BMW 328i. The solution appears to be only a replacement of the entire steering wheel column, which costs around $700-900. The frequency of the problem suggests a defect but BMW will not admit it and has not issued a recall. THIS IS OUTRAGOUS! I just collected my new car BMW 328i of registered number wxs8683 of chasis no : E994356 before few days chinese new year and found tire damaged. Due holiday and i m rushing to oversea & i m not able to send in the car for claim. This is really dissapointed me which such a new car also can have such problem happened in a new car. And i had try to solve it from sales personal but seems no response and useless in supporting my claim. I hopes bmw malaysia will take immeadiate action of my new car problem. 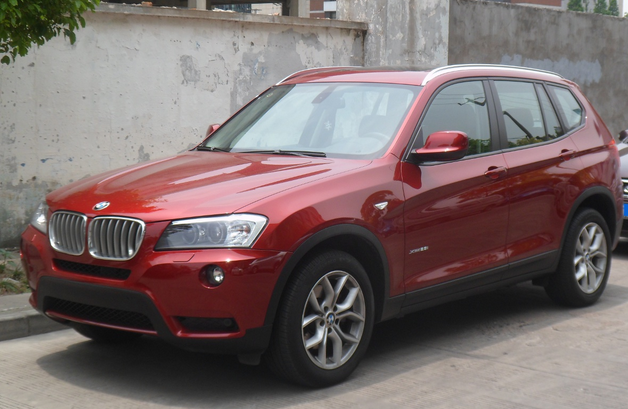 I have ordered a BMW X 3 on mid july and I have already done my payment at the the beginning of semptember. I have ordered my car in Turkey and pay ekstra transporation money to take my car in Skopje. But my car could't be arrieved from Munich to Skopje for nearly a month and half. The dealer in skopje contiously lied to me, they told me this is not their falut but the fault of the center diplomatic delivery, and then they confessed that they are waiting the trcuk will be full this means I have to wait at least more that a month. As earlier I had filed a complained regarding the service of my BMW car Model No. BMW320 D to the BMW Company. Now, I want to file a complaint regarding manufacturing defect of my car bearing registration no. JH10AA2226 and chassis no. WBAPP17090NN33275. Last two month before I send my car to service centre (M/s OSL Prestige Private Limited) in Kolkata but there was no serious response from the workshop. My car is already in the workshop bearing a horn problem and other problems. The service people are unable to resolve the problem. I am taking follow-ups from last two month but I donât get any positive response from the workshop and I am totally frustrated from the service of M/s OSL Prestige Private Limited Kolkata. Now I think that there was a manufacturing defect while purchasing so I want a total replacement of my BMW. So I kindly requested you to take my problem seriously and give the proper guideline for the replacement. Good day on the 12th Dec 2012 I received delivery of my new vehicle. It is the 1st BMW I have ever owned and looked forward to driving it. To my surprise within the first couple of weeks driving it I would sometimes hear a slight knock coming from the right. I continue to monitor he situation and after about 6 weeks I decided to call the Dealer ( Richmond Motors ). They took in the vehicle for an inspection and found that it had a defective Steering Rack. They informed me that they would send for a new part and replace it under the warranty. It has now been 3 1/2 weeks and I'm yet to have my vehicle repaired. I sent an official request that the vehicle be completely inspected to check for additional defects. I am very concern that this vehicle might have other problems that might not show up know but later, especially after my warranty has passed. My vehicle is just about 3 months old and was discover with a manufacturer's defect within the first month. I personally that my vehicle should be replaced. I am writing now because i wanted to give the Dealer sometime to address the issue. This has not happen and i stand here worried about future defects in my vehicle. The VIN # of the vehicle is :WBA3B1204DJ395498. I would appreciate if this matter can be addressed as soon as possible. Hi there I hope you can help me Pelase find attachd the first complained I wrote to the dealer and BMW SA. Up to this point, no one has helped me I am running ut of patience with BMW now, if anyone can help me please do because right nw I donât know what to do My car has been in an out of the dealer countless times. They seem to notget the problem or car to fix it. All I need is the way forward I have taken my car to the Sandton BMW Dealer (South Africa) 2 weekes ago. First the petrol in the car was over 3 quarters, almost full When I went to collect it, it was empty, saying 30km to go. I asked why they didnât fill the car if they were busy testing it and no one helped and I ended up filling my car again These people have been lying and taking me for a ride for a year now with the same problem in my car. The car is making endless noise that they cant fix. Now my tire is flat I cant even drive the car, I saw the tire as I was leaving the dealer and I went back to them, they told me itâs a puncher and tried to fix it, again before I could even get home the light on the dashboard was back and I tried to call them, as I got home, the tire was worse I was forced to park the car, and that meant I couldnât even test the car if it was fixed because I couldnât drive it I called the person that I was dealing with there and he told me to buy a new one. That part I didnât understand as I sent my car to them without a tire punch please see below my previous complain Good Morning I have been having a problem with my car since i bought it brand new. First incident occurred a week after buying my car at sandton auto. I had a problem with my brake pads. They were very noisy and couldnât break properly and got to a point where they had to be change within less than a month of buying a brand new car. After that everything else was wrong in that car. Just after 2 months it started to have this noise in front (could be in the engine) i donât know. I had to go home (Eastern Cape) so i couldnât bring the car in. when i came back i took my car to Zambezi auto as i am closer to that side. They tried to fix it saying that itâs the cables going to or from the fan. All those cables were changed and my car was there for about 2 - 3 days. I went to collect the car and just before i got home the same day the noise was still there. I called them and told them that what they did didnât help even one bit. They arranged for me to bring back the car the following day. And mind that this is my only car, i just cannot afford to be taking it in whereâs i canât even get a loan car or any kind of assistance in terms of transport to and from work. My car spends another good 3 days there with them changing some other cables as well and re-gasing the fan or air-con. Then i went to collect my car again, and the problem was still there, the noise was so loud that even people at the robot would turn heads. I told the dealer again that the problem was not fixed. This time around the cables inside my car were hanging around on the passenger sit side where i had to tuck them in. THIS IS A NEW BMW CAR for Godâs sakes I had to travel to Swaziland so i was away for a month. When i came back i had a tire bust and my car was towed to Menlyn auto. Then i told them as well about the problem. They looked at it as well, tried to fix it but no luck. They said there was a new part that was needed and ordered it. And again i had to be carless for more than a week. They did a test drive and told me that unfortunately the noise is still there and there is something else they have to do. Again they chopped and changed whatever it was but still the first day of me collecting the car the noise was there. I called them and told them as well but nothing happened. I decided to bring it to the dealer i bought it from, which is Sandton Auto. I came with my problem and explain to the manager the whole story and the fact that if i bring my car in i will need a loan car (which I was promised to get but didnât). Then my car was booked in (this is the fourth time now in a dealer with the same problem). Stayed about 3 days because they had to keep the car in for testing in the morning to see exactly what could be wrong. They changed somethingâs as well and also when i went to collect the car, before i could even get to the robot near them, the noise was there. I called them again and told them that whatever they did, didnât work coz now the noise is getting worse. They booked the car again for the following week. I took my car there again to spend 2 days without a car and having to use public transport because no one could help. It stayed there again and they fixed few things but still no luck. This time they even changed the entire computer system and this car was even giving false alarm warnings (this is what they told me, and they didnât know why coz when they check the key, there was nothing). 1. Could this be an old bmw car? 2. Is it possible that someone sold me a car that was a second hand? 3. Is it possible that this BMW car with these kinds of problems could be a demo or something? Really looking at it (IS THIS POSSIBLE) So right now i am still waiting for a call (which i donât think i will get as its 2 weeks already) for 1. Fan 2. Explanation on the PDC and right now the pdc is faulty for real, it beeps when you are too close to something. I really dont know what to do in this situation. i dont feel like i am driving a new car at all. as i travel a lot, im afraid that my car will soon be in 100 000 km where i wont have the previlage of jsut taking the car in. i dont have time to leave my car with the dealer anymore as I have proven that this problem CANNOT be fixed. i am tired of complaining and being stranded in terms of transport and worrying if this BEAUTIFUL 320 BMW MSPORT car cannot just stop in the middle of the road. I bought a F30 recently. The car was delivered with rusty car seat hinge bracket for both driver and front passenger side. This is ridiculous as BMW allowed the defective parts to be installed and going through their QC check and deliver to end user. My SA said that all F30 were delivered with this defective parts and they will make the warranty claim for all of their F30 customer. Further more, the rubber strip along the side mirror are full with stain mark which is unremovable. The funny SA told us that the car is park left outside under the expose of sun light and rain before deliver to each dealer, therefore, it can't be avoided with this kind of defects. By all means, poor quality of part has short life span or cosmetic defects. Besides, the driver side front shock absorber is having some funny sound when I driver through a hump even at low speed. Closing the door is another joke for this F30. The sound of the door closing showing how poor this car is, especially for driver side. It's not solid at all. This is my 1st Conti car and I decided to go with BMW since the review of F30 was so good. However, when I sit inside this car, it starts to disappoint me. I had purchased a BMW X3 SUV from your dealer M/s. Platino Classic Motors (India) Pvt. Ltd. and took delivery of the vehicle on 28/06/2012. The details of the vehicle is as under:- Chasis Number â WBAWY37010LP98465 Engine Number â 75827955 Year of Manufacture as per Dealer Record â March 2012 Vehicle Registration Number â KL-43-D-7272 I use the vehicle only for long distance travel and that too during the late hours of the night. On 22.7.2012 while on my return from Tirupati, near Palakkad, the vehicle broke down in the middle of the road. It was pure providence that there was no other vehicle behind us or we would all have perished in an accident ! The vehicle was towed from Palakkad by your towing pickup van and took 10 days to rectify the defect. I was informed that the vehicle had a system failure. On 04.12.2012 night, I took the vehicle for travel to Tirupati again. I travelled 30 km when the vehicle broke down again. This time I am told that there was a break failure â fron left wheel sensor failure! I am very much concerned that a vehicle o BMW make is giving so much of trouble. I have paid Rs. 5200000/- (Rupees Fiftytwo lacs only) for the vehicle (Vehicle Cost & Road Tax) and I am now worried as to how I can use the vehicle for my long distance travel with the vehicle giving so much of trouble. I am afraid that I have been taken for a ride â I have a strong feeling that the vehicle even though shown as manufactured in 2012 as per the documents/records submitted by your dealer M/s. Platino Classic Motors (India) Pvt. Ltd. to the local RTO for registration of the vehicle, the same may not be the case. I feel very much let down and even cheated ! I am approaching you now for you to interefere in this matter and to advise me the actual manufacture of the vehicle and as to in what way you are going to compensate me in this whole matter. I shall wait exactly one week / 7 days to hear from you after which I will be forced to approach the consumer court with my greiviance for proper addressal of my very bad experience with BMW. A woman named Jennifer at the BMW bayside service department is extremely rude on the phone. I called in for the status of my vehicle and she provided me with an extremely nasty attitude. When she called me again to tell me my car was ready, she had an attitude again. I own a Lexus and their service center excels above and beyond compared to the bayside BMW service department. My lease is up next year and after this experience, I am completely turned off by BMW. I do not plan to lease or ever buy a BMW again. My Window glass got stuck in my 2008 BMW 328XI. I read lot of feedback from people online on Bimmerfest.com and most of the people say it is regulator. My BMW went out of Warranty in Dec 2011 and I got this issue right now. I was wondering if this is a common issue, did BMW idenitfy this as a project for concurrent improvement and was there a resolution in place in tems of service letter then I can take advantage of. I am really surprised this happened on parts that should have been tested for 100,000 cyles as a part of validation plans in new product development cycle. Can you help me understand this issue better, where I may end up paying a dealer over $600 for a mere window getting stuck. Let me for a start introduce myself. My name is Ahmed Al-Toukhi a Saudi national living in the capital, Riyadh. About 8 months ago, I purchased a used BMW (335I) 2008 model fully loaded from a friend of mine. The car was in an excellent shape and has been regularly marinated at the local BMW dealer (Alnagi motors). Since I bought the car, I truly enjoyed how it drives and how it performs. Truly speaking, this is one of the best cars I have ever owned. Now, allow me to explain to you how miserable I have been since I sent the car to Alnagiâs workshop asking them to check why the car have suddenly started shaking and how the engine sounded funny among other things. This was close to a month ago and the story begins. At first and after about two weeks, I was asked to pick up the car. When I drove the car out of the workshop, it appeared like nothing was fixed. Two weeks later, I sent the car yet once again to the workshop where it stayed for a whole month after which I went to follow up and check and to my surprise; the car had been involved in an accident while at the workshop. We were astonished and totally mad. How could this happen and how come no one bothered to inform us! According to Alnagi, the car was undergoing a test drive during which the person who was driving it got into an accident damaging the left rear of the car. The logical thing to do as an owner is to ask to be compensated be it financially or given me options to choose from. To make a long story short, the car is now still at the workshop and yet once again to our surprise, itâs being fixed without our permission. That day, the regional manager offered to purchase the car at 150,000 SR and asked us to go the used car show room to complete the paper work. While there, the person at the showroom claimed that he heard nothing of what was agreed between us and the regional manager and said that the carâs value is lower than the 150,000SR and we should sit and negotiate a deal. This is not what we were told and left the car in vain. Meanwhile, today we received a call telling us that the car is done and we can come pick it up! !Â I could give you more details on various discussions we had with Alnagi but fear to bore you.Â Iâm sending you this email seeking for your intervention to get this matter resolved once and for all. I was planning to file a law suit against Alnagi motors but thought I give this a try hoping that it will result in putting an end to this frustrating experience. Note: We had already contacted Germany and they refereed us to BMW middle east but we were not able to get a hold of anyone. First and foremost I wish to express deepest disappointment over the reliability of BMW cars. I brought a fully imported model 523 I RLA from our local authorized dealer in Malaysia Tian Siang Motor in May 2010 and having this car is the biggest mistake I have ever made. This car has been giving me problem after problem since the first day the car was released to me. I have been going back to the dealer questioning why my car was jerking when the auto transmission shifted gear but they could not rectify the problem for me until they requested me to get use to the jerking. Finally I gave up but that is not all. On 2nd of February 2012, I drove my BMW out to have dinner with my close friend who is driving a Mercedes Benz. However is was raining after dinner and both of us decided to go homes. We got into our cars and his car was in front of mine. When we reached a puddle of water which is not even a feet, my friendâs Mercedes went through smoothly and when I go through the puddle of water, my car stalled. It caused such a havoc for me as I have to wait for 3 hours for my car to be towed back to the work shop which is less than 10KM from where my car was stalled. Few day later after checking on, the authorized workshop informed me that my carâs repair will cost me about RM38 thousands. This is a ridiculous amount and I was thinking to myself, for just crossing a puddle of water which is not even a feet and I have to paid RM38 thousands. With the iceberg melting and global warming, it has been raining daily without failed in Malaysia and for every time I go out, I have to pay RM38 thousand. The other alternative is that I cannot go out with my BMW when it is raining and I have stupidly paid RM400 thousands for a car to be kept in the house. WHAT A BIG JOKE. Furthermore it has developed a phobia in me as I am terrified when I use my BMW as it will cost me a bomb anytime and anywhere. But again that is not all as after the car was repair and was released to me, one fine day (after 2 weeks) the authorized dealer called me to bring my car to the Ministry of Transportation to conduct an inspection and re âregister my engine number again. That mean to say that the authorized dealer has changes my engine block for crossing a puddle of water that is not even a feet. The worse is I have been driving my car for 2 weeks without being insured (Malaysian Law â car engine number must be registered in the Car registration Card) and if the car engine number is differ no insurance claim will be entertain in the event of an accident. Furthermore, I have been stupidly driving the car for 2 weeks and if in the event that there is a road block and I might be prosecuted for a stolen car and may be imprisonment. ï¬ Expose to the risk of unprotected insurance claim (Insurance company will not cover if engine number is different from registration card). ï¬ Expose to the risk of being imprisonment because of engine number is different from registration card. I may be accused of driving a stolen car. ï¬ Causes me to pay so much for crossing a puddle of water. ï¬ Unethical of your appointed workshop in simply changing parts and charge me a huge amount of money to gain their profit. ï¬ Failure of your appointed workshop to adhere to the proper documentation procedures for changing of engine block which may put me at risk of imprisonment. Sir, as a Director of such a reputable company, I personally think that you need to be more selective in your appointment and award of dealership and I think that Tian Siang is not close enough to give an impact to other car i.e. Mercedes and VW in Malaysia as their after sales service is terrible and un ethical as they need to be more professional in handling such case. I never mean to be rude but I will not hesitate to approach the press to express my dissatisfaction over the reliability of the car. Please revert whether if this incident is justifiable. I Bought this car (BMW 320i) early January 2012, ever since taking delivery of this car it has given me countless problems, it has been booked in several times back to Zambesi Auto BMW Dealer, and still come back either with the same problem and or as I was told even new problems where discovered, its now April going to May and I still don't have the car in my possession as I am still paying for it every month, car was booked in again in March for the same problem. Which I was told there was a back log on the part which was ordered for it, initially was told it was going to take about 14 day to have that part delivered, of which I estimated about 18 days for it be ready and fixed, of which was NOT the case, as now the was apparently something else wrong with the car- front lights, then now the radio is now not working, bottom line is I bought a car which I am not driving but I am paying for. Clearly this is not acceptable I feel I am within my right to have to have this car send back and my money given back to me. as obviously it seems I bought a car which was not in a state/condition to being sold to anyone. Dear Sir, Subject: Heavy expenditure on my BMW CH 04 C0051 repairs with following details. Make-BMW,Model-CKD525d Sedan, Engine No.23246608,VIN-WBANX5030CY95177 I bought BMW Series-5 sedan in the year OCTâ07 from Krishna Automobiles, Chandigarh(India) and little did I knew that I would be repenting my proud purchase so soon. I also own one Merceded E-Class and one Audie-A6.Ever since the purchase I have been getting the service & repairs from the authorized show room i.e.M/s Krishna Automobiles only. 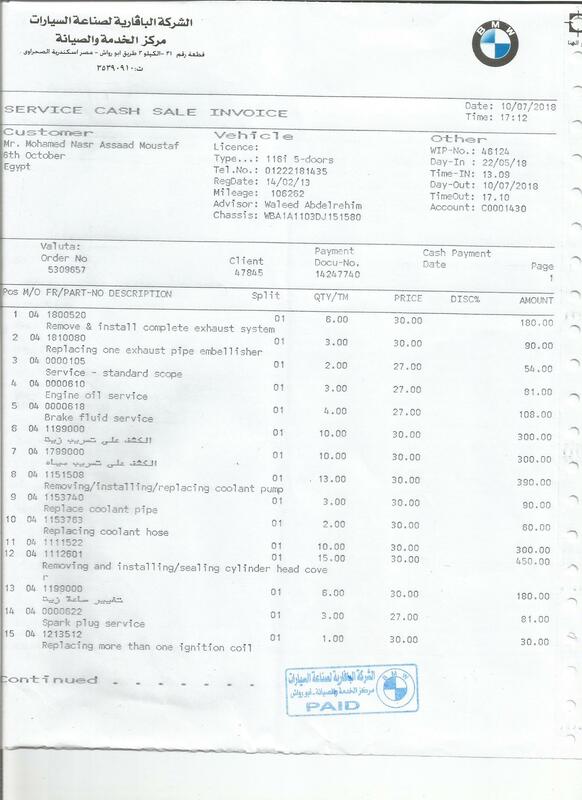 In the month of Febâ12,car had a problem and I had to shell out a whooping amount of Rs.1,20,000 on its repair. In the month of Aprilâ12 on 11/04.12 the car was sent for servicing and again Rs, 29,682/-was the bill having Invoice No.SIP120077. Hardly a fortnight had passed that on 26th Aprilâ12 the car developed a major snag of steering jamming while it was moving and with lot of difficulty an accident was avoided otherwise it would have been a horrifying accident with my mother inside. It certainly is an irony that after spending nearly 45-50Lac on a car of the BMW reputation it is unheard that this car would develop a snag of Jammed steering which is very horrifying. I think I have really made a mistake by going in for BMW and I am totally disillusioned. I had to spend another 61000/- on getting the steering repaired. I would like to know if you people can do something for such high repairs ,faults and the latest one is catastrophic and not heard of. Here I would like to know at the onset how do you decide to compensate me for the huge expenditure incurred on my car. You can check the repairs undertaken on my car by taking out the History Card from your system. Unless I hear from you people very soon I would have no option left but to go to Consumer court for the recurring problem being faced by me apart from the drain on my pocket which till date from Janâ12 to Aprilâ12 has come to approx.2,80,000/-in the last 3 months only and not counting the cost of the repairs before that. Hoping to hear soon from your end with a Concrete plan/Compensation to address problem with my car which I am beginning to believe that it is a case of Manufacturing Defect in this piece. Starting from the tyre burst to AC getting ineffective initially to some funny sounds from the front grill to the Rubber of the front & back wind screen getting eroded and rain water dripping inside and which is totally unheard off. It is a total manufacturing defect and has proved to the worst decision in my life to think of buying a BMW . I would not suggest to any of my friends or to any of my relatives to go in for this reputed car of German make. BMW USA has acknowledged the early model R56 Mini Cooper have " high pressure fuel pump problem" by extended the warranty for replacement. However Australia BMW ignore and refuse to fix it. they want to charge $1400 to replace the fuel pump and also do a complete carbon clean for the engine cost $4000. Below Is the link to the letter issued by mini USA. Hello I purchased a certified 2009 328xi last April 2012. When I purchased the car, i was explained about the benefits of purchasing a certified vehicle. One thing that was explained to me is that in order to certify a car, certain minimum limits must be met, such as the break discs and pads must have a minimum left, and so do the tires. Last week i went to put back the summer tires. The tires were the ones that came with the car the day i purchased it. To my surprise, 2 out of the 4 tires were completely slick on the inside of the tires (one almost had its wires coming out). The other 2 tires were worn evenly but not much tread was left on them. I had no other choice but to purchase 4 new tires. My concern is the following: 1- if the tires on the car were not new (as i was told), why was i even allowed to leave the lot with worn out (slick) tires which could have posed a serious safety concern? 2- if the tires were new, i must have been sold a car with severe alignment issues. But the tires could not have been new because there is no way to do that kind of damage to new tires in less than 6 months (approx. 7000km driven at the time). Please give me a feedback on this situation. I have tried to get in touch with the dealer at BMW West Island but so far it has been a dead end. I am extremely disappointed with My 335i hardtop convertable car. This is my 3rd car I have purchase from BMW in 9years. I have never own another made car but BMW & purchased my first in 2002. My new 2011 car has been a problem car from the time it reached 2,500 miles. The car has been in the shop four times for the same problem(fuel pump issues) My car stalled out while I was driving several time on the highway almost causing a horrible accident three times. I was faced with a truck & several cars almost hit my new car from the rear because it continues to stall out or have extremely reduced power. P&W BMW dealer located in Pittsburgh,Pennsylvania is where I purchased my convertable. I had my 3rd updated fuel pump installed Monday March 12th & my car stop running while I was driving on the highway(extremely dangerous & life threating) This is my 4th time experiencing this situation & I am very unhappy with BMW. I’ve been a loyald customer for 10years & purschase my very 1st car from BMW. The car is defected(lemon) my car has 13,000 in only 1year & 8months. Not happy! I received a postcard from BMW advertising oil changes for only $79, but after the oil was changed, the serceceman called me telling me that my car had a oil leak. I became found the finding a little sospiscious because the car had been serviced with another shop for the past two years and he told me that the car didn’t seem to have any oil leaks. then, I remembered another incident of one year earlier at BMW during oil changes special for $99. The radiator was starting to leak just one hour after the oil change. Could all this be a pure coincidence, or could be a pattern for these guys to promote more repairs that are not due yet? I have owned a BMW 550I X sedan equipped with Good Year run flat tires since Ocotber 2010. The car has 6,000 miles on it and I have replaced 8 tires due to blow outs and or severe side wall bubbles that efected the handling of the car. I love this car but hate these tires. I can’t even use this car for a long trip because i am afraid of blowing a tire and not being able to find this tire (which is incredibly hard to find). What are my options with BMW? i want them to replace the tires with a conventional tire and supply me with a spare tire. Who invented this tire??? Why do they still make them?? To whom this may concern, I own an 325I BMW that I put in to the shop because my check engine light was on. The service manger told me that they would check my car out and call with the diagnosis. Later, I recived a call from Osar Crisostomo the service manger from Advantage BMW. He told me there were several problems with the car and the car and it was fixed. After driving the car home, and to the local store, the next day, the light came back on. I called him, he told me to bring the car back, and I did. The following day he tells me he thinks itwas something else causing the problem. After another diagnosis, he says that I need to pay $2,300 more dollars because it was something else wrong with the car and that the machine code did not show it last time. My respone was, “I brought my car in for an inspection and because my check engine light was on. Why was my car not fixed, and fixed correctly the first time?” I asked to speak to his boss, Mr. Gallvian. I hysterically informed him I would go to the media on this issue. Everyone from the dealership then seemed to call to tell me false diagnosis or hopeful diagnosis statting it maybe my transmission. This is unsettling to me because the car drives great with no signs of it going bad. We have the car back and the light is still on. In closing, they have offered to give me back 741.oo dollars and a still broken car. We took this car to the BMW shop expecting a good job, but we wer not pleased at all. This is sad and no one should be treated this way after paying there hard earned money. We simply want our car fixed correctly andtreated respectfully. 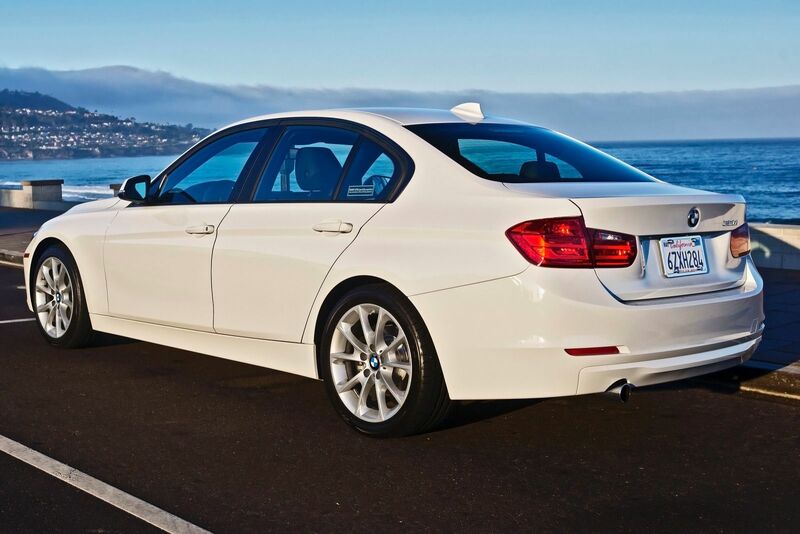 i am using bmw 3 series that i have not had long at all. i have use it only 53000 km and i dont know how before 15 days it didnt start itself. then i call up the bmw people and they take my car to there service centre to check out. they told me that my control unit is gone and for a new one you have to pay 49816 rs, which they gave me in an estimate document. im so much surprise that how control unit can stop working so soon. as i know bmw is a world class brand and if control unit is not working it means there was some manufacturing defect with bmw on the 3 series. so kindly change my part free of cost, it is not my problem to fix now. Many problems we are experiencing as clients of BMW in Saudi Arabia. Unfortunately, a lot of people have not known a real methods or ways to send their complaints about the worst services and inaccurate diagnoses and non-commitments provided by the BMW exclusive dealer. This dealer have a very bad customer services, and they do not have real skills for the BMW clients as additions to lies repeated to meet their commitments as deadline dates. And the large confidence of BMW in a critical situation by almost Saudi people is lost. Due to poor management of work and lack of attention, respect, and truth to BMW clients as it is well known to a lot of people in Saudi Arabia. My BMW X5 was blowing intermittent smoke. Independent garage quotes $2500 Vent valve and oil pump. Went to BMW Dealer to see if factory issue. Week later dealer said I need a new engine $25, 000. $15, 000 for used engine! Warranty expired BMW Canada said I had no claim. Up until I towed the car to a qualified honest independent repair shop, Sales Team at dealer were still suggesting new engine. The engine is fine, strong compression problems. Always ask for a written quote and your parts from dealer service. This is your only evidence of a crime that probably occurs daily.